For once the weatherman got it right! They called for a nationwide cold snap and BAMM we sure have one!! 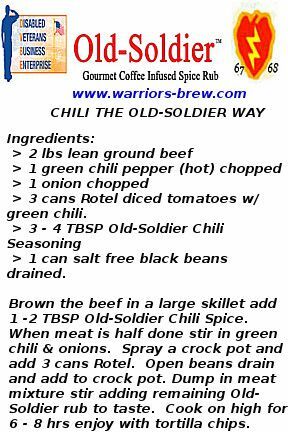 The weather is perfect for a hot bowl of chili and the "OLD-SOLDIER" is more than happy to share his great recipe that will be sure to please. Note that it calls for ground beef but don't be afraid to substitute chicken, sirloin, or even pork for the meat. For our vegan friends leave the meat out and substitute a greater selection of veggies. 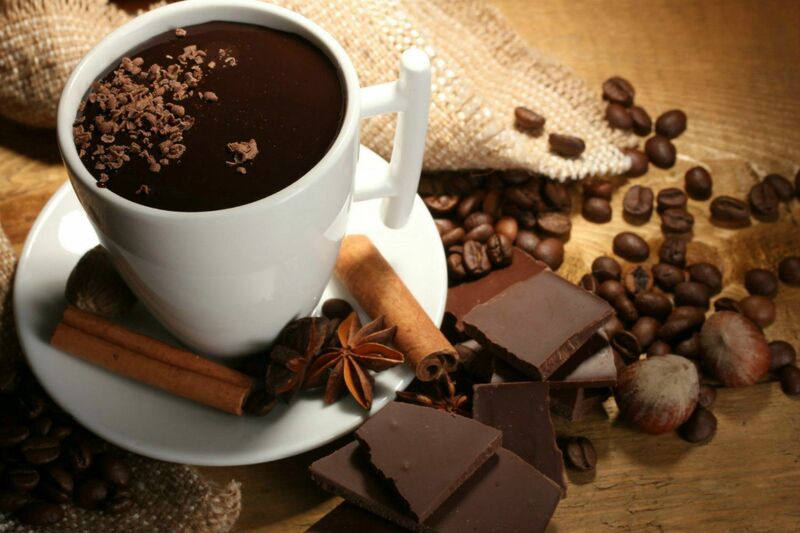 The coffee in this spice will enhance the flavor of all the ingredients and please note, you don't have to add any other spices to the pot. That's right it's sugar & sodium free and all natural. ENJOY!!! 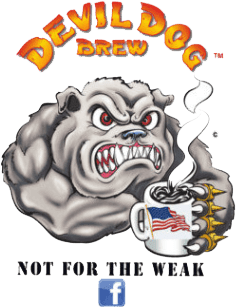 If you would like more ideas for winter meals just drop me a line at, stan@warriors-brew.com. We are always coming up with new recipe's for the 'OLD-SOLDIER' rubs and seasonings.